Bringing comfort in a time of loss. 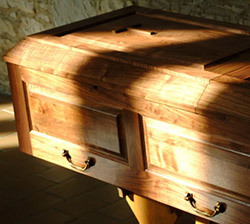 The monks of New Melleray Abbey offer caskets and urns that are crafted in the rural quiet of the monastery, by hands accustomed to prayer. 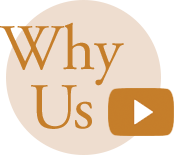 Allow our rich tradition and humble calling to join you on your journey to honor the life of a loved one. 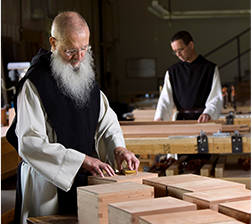 Each casket is handcrafted and blessed by the Trappist monks of New Melleray. 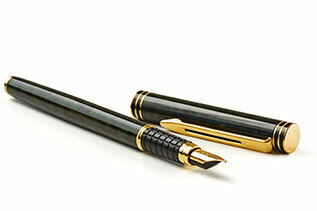 We use premium woods from our sustainable forest, and only the finest materials, inside and out. Available for immediate delivery or for later delivery as part of our pre-planning program. 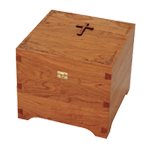 Our handcrafted wooden urns are made from the finest native walnut, oak and cherry. 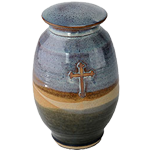 Our ceramic urns are hand-thrown. 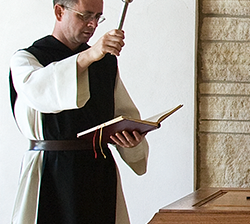 Like every Trappist Casket, each finely crafted wooden urn is made in the prayerful environment of New Melleray Abbey and individually blessed by a monk. 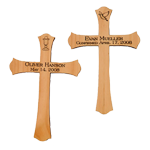 Our keepsake crosses are also crafted from the finest native walnut, oak and cherry. 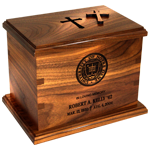 Every casket and urn comes with an optional keepsake cross. 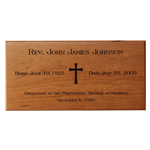 Crosses may be personalized with engraving, and additional crosses are available as mementos. 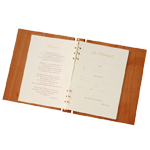 Guest Register Books can be also personalized in memory of your loved one. 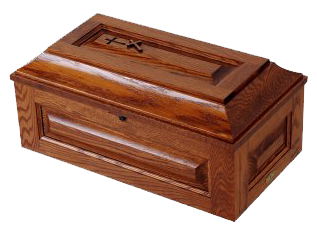 Advanced planning allows you to make decisions about your purchase of a Trappist Casket ahead of time, and guarantees the price. Your family can find comfort in knowing that your wishes are being met. The Child Casket Fund gives individuals the opportunity to contribute to the cost of a child casket, to help alleviate the burden families face during this difficult time. 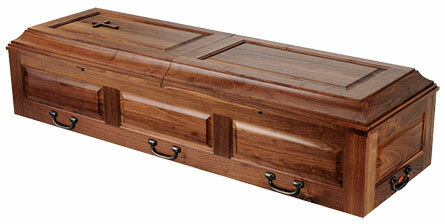 Caskets and urns unlike anything else available. Each casket is made in the prayerful environment of the monastery. Handcrafted by Trappist monks and skilled artisans. 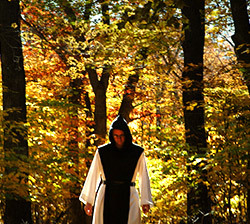 The monastery forest is a sustainable source of lumber. 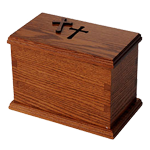 We provide a unique alternative to cold, mass-produced steel caskets.